The world record for The Legend of Zelda: Ocarina of Time is 17 minutes and 9 seconds… but what if you pressed the A button as little as possible? 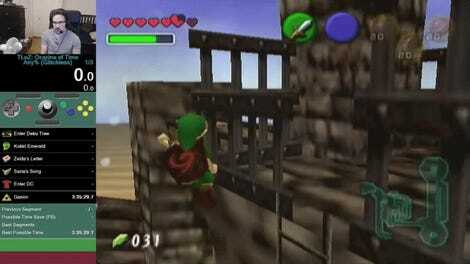 Limiting Link’s ability to jump, talk, and open chests creates a new challenge for speedrunners to race through. The “A Button Challenge” restricts speedrunners into completing levels by pressing A as little as possible. It’s famous in Super Mario 64 speedruns. It stops Mario from jumping and leads to creative problem solving. The most famous Super Mario 64 A Button challenge solution was the memetic “Watch for Rolling Rocks - 0.5x A Presses” by Scott “pannenkoek2012" Buchanan. 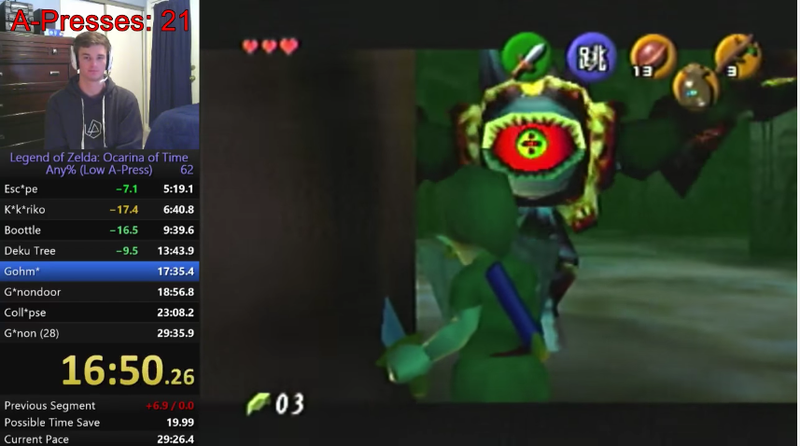 Speedrunner Enigmatic Zebra has applied the challenge to Ocarina of Time, beating the game with a time of 27:15 and only pressing the A button 26 times. He’s challenged the rest of the game’s speedrunning community to do better. Not being able to press A unless necessary creates some interesting situations. At one point, Enigmatic Zebra enters Hyrule Field and travels towards Kakariko Village. Normal Any% speedruns, which seek to complete the game as quickly as possible, perform a trick called a Water Extended Super Slide. It involves side hopping, slashing your sword, and using the recoil to zip through some nearby water to move at incredible speeds. But you need to press A to side hop, so that’s out of the question. This means that Enigmatic Zebra has to hoof it to Kakariko Village the old-fashioned way, as well as speak to the long-winded owl Kaepora Gaebora before entering the village. The largest issue comes later in the run. 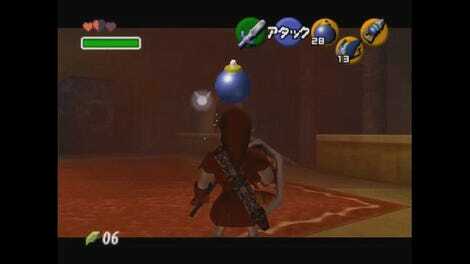 Ocarina of Time speedruns have been pushed lower and lower thanks to a trick called “Get Item Manipulation.” It’s a complicated trick that allows players to instantly place a bottle in their inventory. But it’s a complicated trick and doesn’t work on all systems. Enigmatic Zebra is playing on the Chinese iQue, a system that crashes if this glitch is performed. This means that another runner will need to give it a try using the Wii Virtual Console. Speedrunner Daniel “dannyb21892” Baamonde has proposed a possible route that would take only seven A button presses. For now, the community is plotting routes and figuring out the best way to beat Zelda in a new and interesting way. Hopefully, it won’t involve any parallel dimensions.